Email received - Bob, I found your post about artists who also paint fascinating. As you have pointed out, there are many more than we previously thought. Schoenberg comes to mind. I thought you would be interested in another. 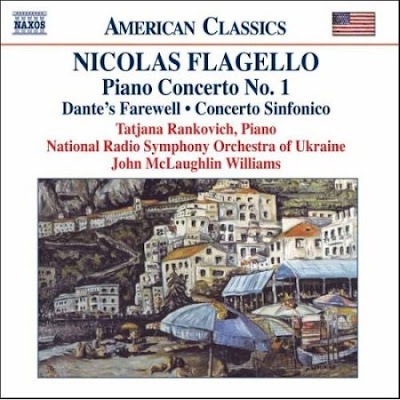 Nicolas Flagello was really something, one of the great American composers and an artist besides. I attach these CD covers not to attract publicity for myself, but because these are the only examples of his art in my possession. Though the cover pics are details, I've seen the large originals at Flagello's wife's residence, and they are remarkable. A day without OAOP wouldn't be a day at all. See Arnold Schoenberg's paintings and drawings here, and read about more eye-music here. Emmanuel Vardi, the violist, after an accident turned to painting (other claim to faim is that his older sister was Heifetz' accompanist in Vilnius way back when). 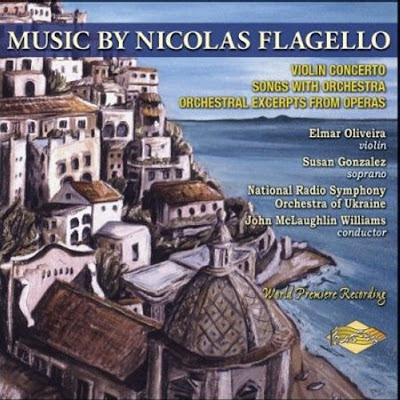 While we're naming names, Gloria Coates is another composer and painter, whose CDs typically use her art for the cover designs.